>The time has come for the LAST back to back giveaway and this time it’s going to be a quadruple whammy! We like to go off with a bang here at The-Unprecedented! I won’t be having another giveaway for about a month or more so make sure you enter in this one to get some great items. 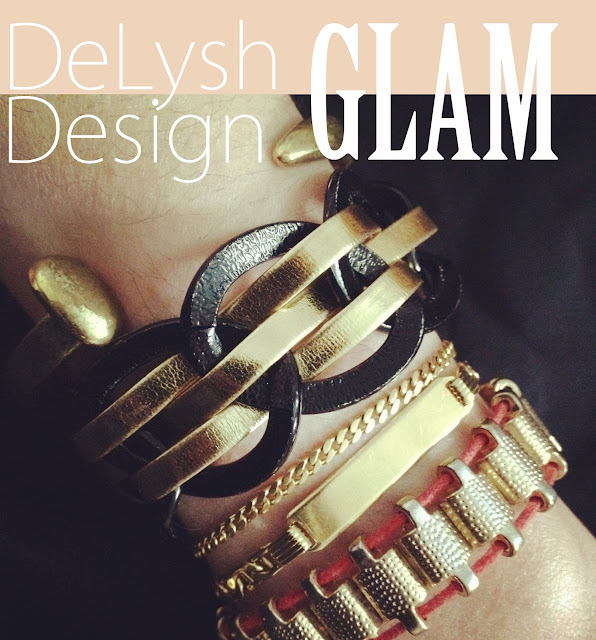 Today I’ll be giving away 3 VIP cards to The Cross Decor & Design and the newly designed Glam Bracelet in black and gold from one of my favorite Etsy shops, DeLysh Design. There will be 4 winners! Now, you can choose which giveaway you want to enter in and they both have their own set of rules OR you can enter in both!! I’ve made the rules incredibly easy to follow as well! 1. The Cross Decor & Design VIP 10% off discount cards – Open only to Vancouver. You know how much I love The Cross and I want to share that will all of you with a little retail therapy at one of Vancouver’s most sought after home decor shops! They have everything to offer from furniture, bedding, lighting and amazing accessories for every room in the house and garden. They also create custom items which is perfect if you have something in mind but can’t seem to find it! 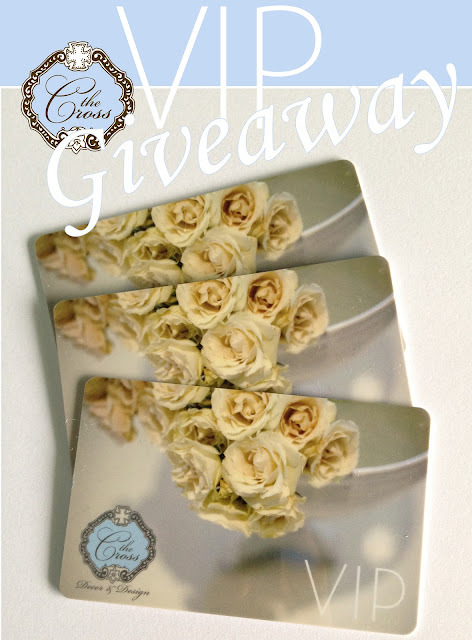 This giveaway is for 3 individual 10% you’re next purchase cards. There can be 3 winners! MUST DO: Comment on this blog post letting me know which ways you have entered and leave your email address for me to contact you if you are the winner! 2. Glam Bracelet in gold and back from DeLysh Design – Open internationally. The last you’ve heard be talk about DeLysh Design was during my Shopping Finds post HERE. I am OBSESSED with my Glam Bracelet and practically wear it everyday, which is great for me but too bad for Eric because he has to put it on me – I’m hopeless with bracelets! Elyshia Samy of DD just recently introduced the Glam Bracelets into her Etsy Shop and has the Fashion Blogshpere buzzing about them on Twitter, Facebook and you’re sure to see someone wearing them at a local event or two! She’s been sweet enough to give away the black chain and gold leather bracelet (a value of $20) for a lucky winner! Click HERE to see the other colors that Elyshia offers for the Glam bracelets – I want them all! Both giveaways start today Monday 16th and will end on midnight of Monday 23rd. Good luck! Also, the Clutch Jewels giveaway ends at midnight tonight – there is still time to enter, HERE! >I followed The Unprecedented and Elyshia S on Twitter – but I dont use it so I hope it still counts!! >I've followed everyone on Twitter and Facebook!! I just LOVE the bracelet and The Cross is one of my favorite stores! >I entered the glam bracelet giveaway. I am following Elyshia on Twitter, following the-Unprecedented on twitter and facebook. I also like The Unprecedented on facebook. >This sounds a bit excessive but…I like The Cross on Facebook, follow them on twitter, like The Unprecedented on Fb and follow on Twitter AND like and follow Elyshia on both FB and Twitter. >I followed The Cross on FB and Twitter! >I am following The Cross Decor & Design on Facebook and Twitter & I am following The Unprecendented on Facebook. >I entered both giveaways! I followed The Cross Decor & Design on Facebook and Twitter & I already like/follow The-Unprecedented on Facebook & Twitter. I also followed Elyshia on Twitter and already like/follow The-Unprecedented on Facebook & Twitter. >I'm entering your DeLysh giveaway, how fun that you've hosted so many this month! I followed Elyshia on Twitter, already following you on Twitter and liked your FB page! >Followed the Cross on fb, followed the cross on twitter and follwed the -unprecedent on fb! >I follow the unprecedented on twitter! >I am following The Cross Decor & Design on Facebook (Shana Hertz Hattis) and Twitter (@shertz1981). Also following The Unprecendented on FB. >I follow both The-Unprecedented and The Cross on FB! >I've liked the Cross Decor and Unprecedented on Facebook and following the Cross on Twitter! >I follow The-Unprecedented on facebook! >and I follow The-Unprecedented on Facebook! >I follow The-Unprecedented on twitter! Im in looooove with this bracelet! !